When building your first mobile app, be careful to focus on user experience and delivering value to your customers. Try and keep the mobile app experience coupled with the web experience. 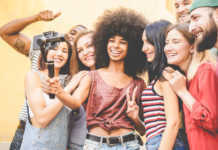 Data and content consistency is important to building consumer confidence that your mobile app is a strategic part of your brand, not just an afterthought. 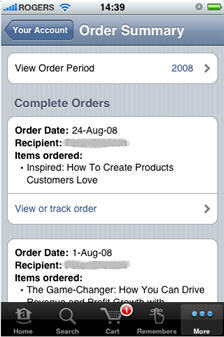 Make sure that orders placed on the web can be viewed in your mobile app and vice versa. 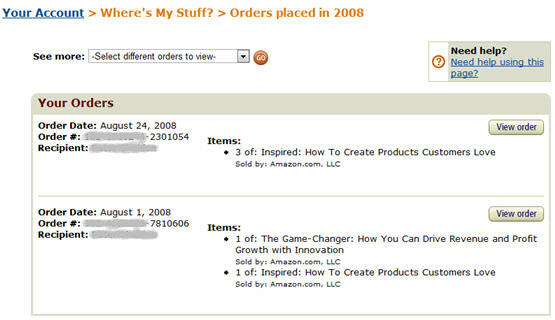 Make sure that pricing and product content is consistent between both channels. The mobile app is an portable extension of your existing ecommerce site. 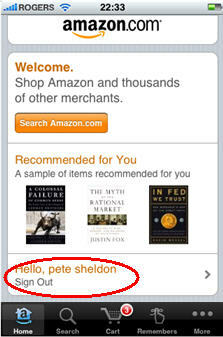 Amazon makes the experience on the web and mobile app consistent, with the same order summary data. Phones are personal items and are not shared like desktop computers. It makes sense that once you’ve identified your customer the first time to leave them logged in each time they re-use your app. This provides many benefits, such as being able to deliver personalized recommendations and providing an expedited checkout using saved credit cards and addresses. 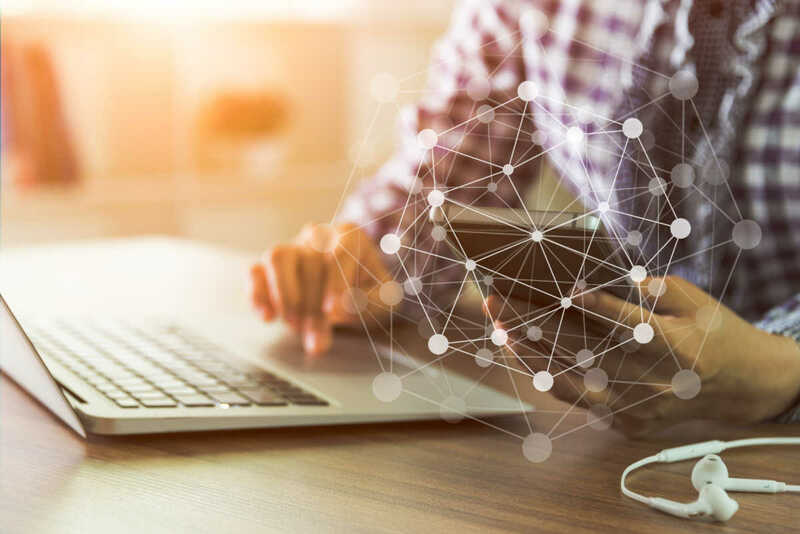 Although there can be some security concerns associated with this approach, the usability benefits usually outweigh them. 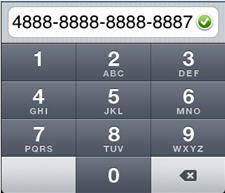 Remember that most phone users have a password / pin on their phone anyway. Ocado (left) and Amazon (right) both keep customers logged in each time they restart the app. The homepage of your app is just as important as the homepage of your web store. Make sure you follow the same best practices you’ve spent years fine tuning on the Web in your mobile app. 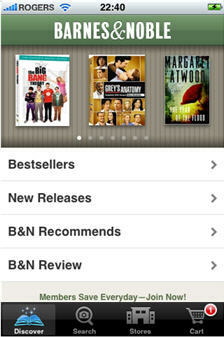 Make sure that customers can search, browse, see product recommendations, best sellers or new releases. As the bottom menu bar (on the iPhone) is restricted to 5 items, consider carefully the 5 top actions your customers want to perform when they fire up your app. 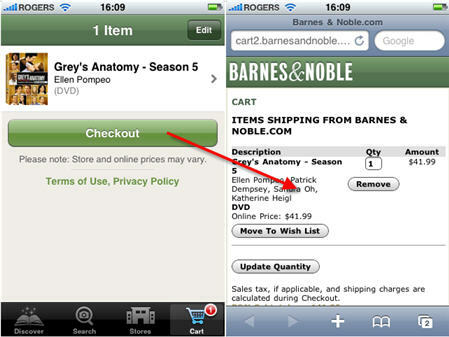 Barnes and Noble provide personalized recommendations and an always visible search call to action in the menu bar. Make sure your mobile app makes it easy for the customer to navigate through the catalog categories, sub categories and products. Keep the content minimal, but relevant and include must-have features such as the back button, search box and sort-by filters. Performance is also critical. If your product listing page has 2000 results, use caching and pre-fetching techniques to keep the experience smooth and fast for the customer. 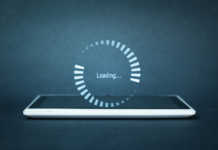 Nothing is worse on a mobile app than waiting for the app to catch up to you. 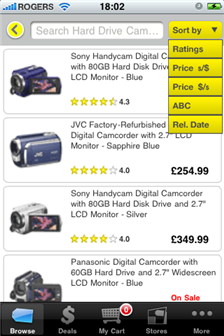 Best Buy provides great visual browse tools, and clear touch scrollable results page, with the ability to easily change sort order. Resist the temptation to cut corners by mixing Web or mobile Web experience into your app. Some retailers throw their customer out of the app when they want to make a purchase. This is like asking a customer shopping online to phone, mail or fax their order. Make sure if you are offering full transactional capabilities in your mobile app then you build this into the native app experience. Don’t take development shortcuts and redirect the shopper to their mobile browser for the checkout. Another example of mixed experience are in-app store locators that often open the apps in the external Google maps application, thus closing down the shopping app. Avoid making the shopper leave and have to close your app at all costs. This problem is especially important for iPhone apps where multitasking between applications is not possible. 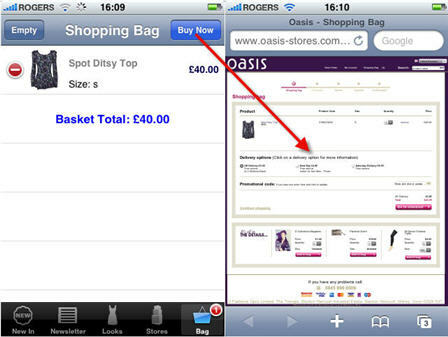 Oasis transfers shoppers from their iPhone app to their standard website for checkout. 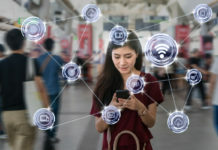 Don’t be tempted to build gimmicky features that use ‘cool’ hardware capabilities of the device without measuring their value. 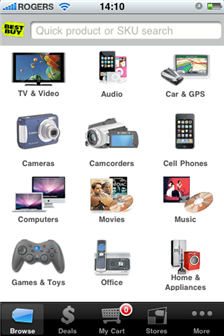 JC Penny has a gift finder that allows you to shake the iPhone to randomly find a gift. This may not be very useful. Making it easy for your customer to pay by credit card in your app is critical. If you already allow customers to save credit cards on your web store, then let them use these saved card to expedite their purchases in your app. Amazon (left) and Fandango (right) both allow the customer to pay using a saved credit card. If you don’t support saved cards or your customers are generally not repeat shoppers then you need to make it as easy as possible for them to enter their credit card details. Amazon has a clean credit card entry page that is clean and quick to use. Consider using a cash machine style keypad for your customers to enter their 16 digit card number. 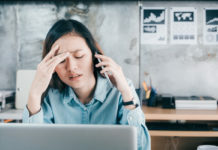 Even if you don’t allow your customers to store their credit cards online, you may want to consider allowing them to securely storing them in your app. 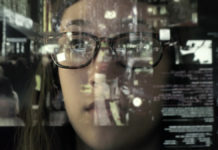 As the details are never stored on your server, the liability for a hacker to access the saved credit card details is limited to an individual customer. The announcement in November by Paypal that they have released new APIs to make it easier to use Paypal inside mobile apps will have a big impact for ecommerce. With the new APIs, it is now possible for a Paypal customer to pay directly within the merchants native app using just their email address and Paypal pin number. Paypal’s demo app shows completion of a travel booking using Paypal for payment with just a pin number and touch of the ‘Pay with Paypal’ button. In the future Apple may allow physical products to be paid for using your iTunes account and the mobile carriers may create API’s to allow purchases to be billed to your phone account, but as of today both of these options are purely speculative. One thing is for sure the dominance of the credit card is being eroded. This post is part 2 of a 4 part series on mobile applications. 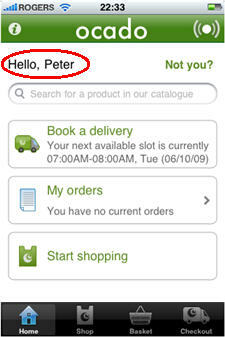 Next post we will discuss Driving Offline Sales With Your Mobile Application. Currently an analyst with Forrester Research, Peter Sheldon is an ecommerce expert and former Product Manager at Elastic Path Software. Peter began his career in ecommerce developing transactional new and used car online stores for Ford of Europe between 1999 - 2002. 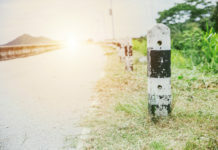 Prior to joining Elastic Path in 2005 Peter was a senior business analyst for JP Morgan Chase, working with their asset management online services.